New Lower Price!! Take a look at this Solid Brick Ranch home with original hardwood floors and newly updated vinyl flooring. Let me draw your attention to the large brick woodburning fireplace in the living room along with a wood stove in the family room. You will also appreciate hardwood floors in the living room as well. This lovely home has 3 bedrooms and 1 bath. If you love country living this is the one for you with 2.2 acres. 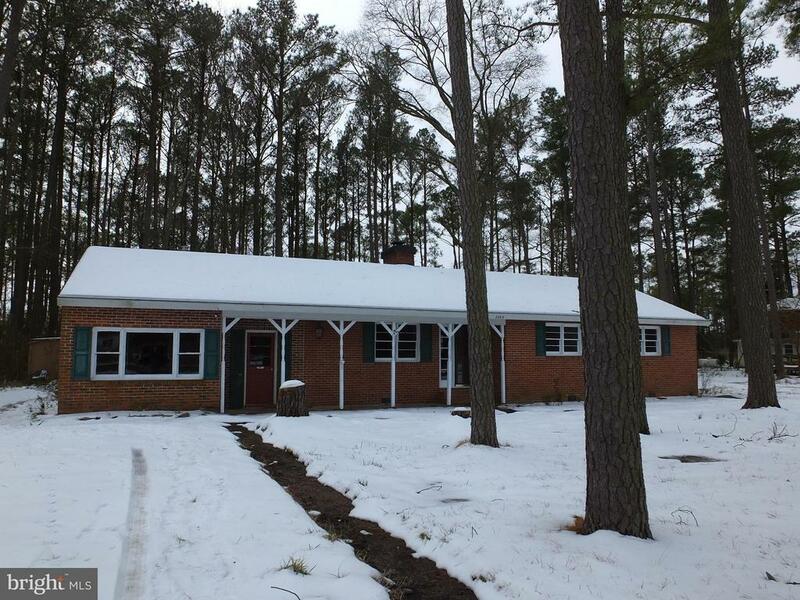 This "As-Is" property features some new updates including new HVAC, flooring in the kitchen and eating area and the best available new septic system. There is also a deep well. You will also find knotty pine paneling with new wood baseboards. The property is partially wooded and has 2 sheds.